The nature of a luxury and the richness of the lifestyle are still alive in the land of Nation India. The way of living and the set of circumstances do speak for you – live in comfort and play well – life is a tricky game, understand the rules and standby your terms. My greatest possessions are my creations – We humans cannot be deathless but the monuments can definitely be everlasting. The stony Forts and Palaces adorned with a great and extraordinary form of creativity – the red and yellow sandstone – Outstanding wall art – striking rock-carves alleys – a huge high roofed open room studded with the great ivory throne- wide hallways dotted with tiny windows and YES the list is limitless. Kings fought some great wars – Few tasted defeat and few stood stiff with victory – monuments were built – wondrous palaces were constructed to live a luxurious and comforting life – the leaders changed as per the circumstances- Days passed on – the courageous people were born to define bravery – and they died doing the same throughout their lives- people came and went but what is still rich and alive is their way of living, which is still followed strictly in the places of importance. Some of the Royal Families are yet multiplying significance to the flourishing land of country India. The fair richness is still alive in the rocky walls of the Forts and Palaces, which dates back to an era that lies way beyond your thought and imagination. The Royals from the past and even present helped us to know a different and unique mode or way of living our life – where every action is carried in a quirky manner with up to standards. Life is always more to what we live – a dream to touch the extreme height of the sky and make sure to be well- connected and rooted to the ground. Saying this with my personal experience as in when we are enjoying the best time of our lives, all of a sudden we get this strange feeling – it’s like the time is equipped with wings or wheels, So why not for a change jump in a train, which is well-furnished and ornamented with breathe taking wall arts and YES of course the luxurious amenities. 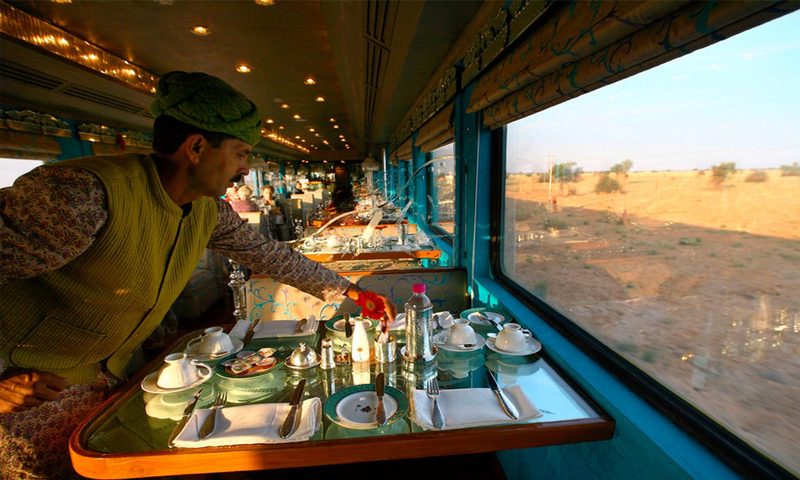 Operator – Indian Railway Catering and Tourism Corporation. 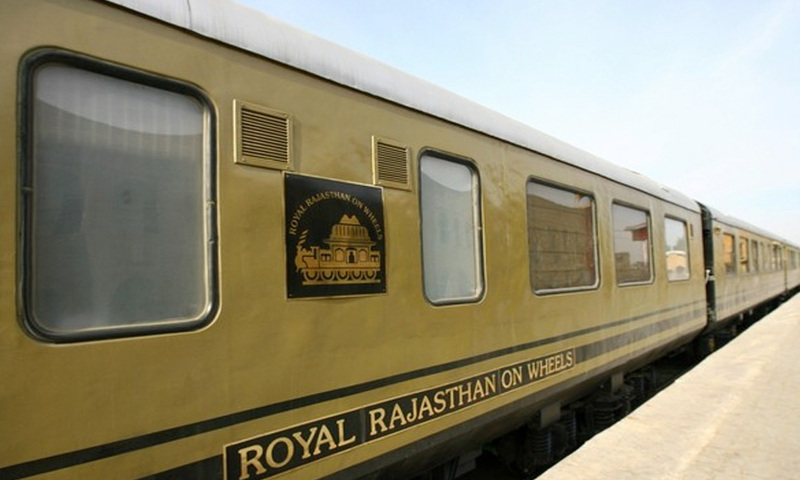 A wondrous train, which helps you to enjoy a smooth and comforting ride with its extravagant services – running faster and covering 5 circuits – with more than 12 destinations across the Central and North-West regions of Country India – YES the months starting October to April, this train majorly focuses on promoting the best of Rajasthan. 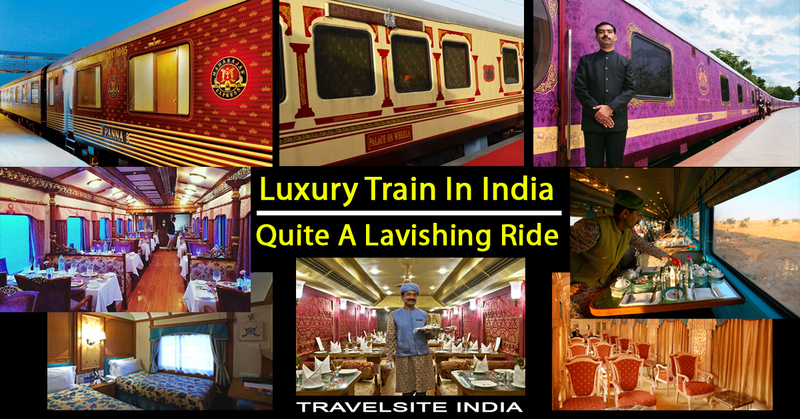 *Interesting Fact – This luxury soaked train is considered as the most expensive luxury trluain in the World. Routing in brief [Destinations covered]: Mumbai> Ajanta Caves> Udaipur> Jodhpur> Bikaner> Jaipur> Ranthambore National Park> Agra> Delhi. Set the Wheels in motion and hop in the train, which will stop by a well planned set of routes or let me put it this way – Like with every destination you cover – step by step you will get closer to your soulful dream. 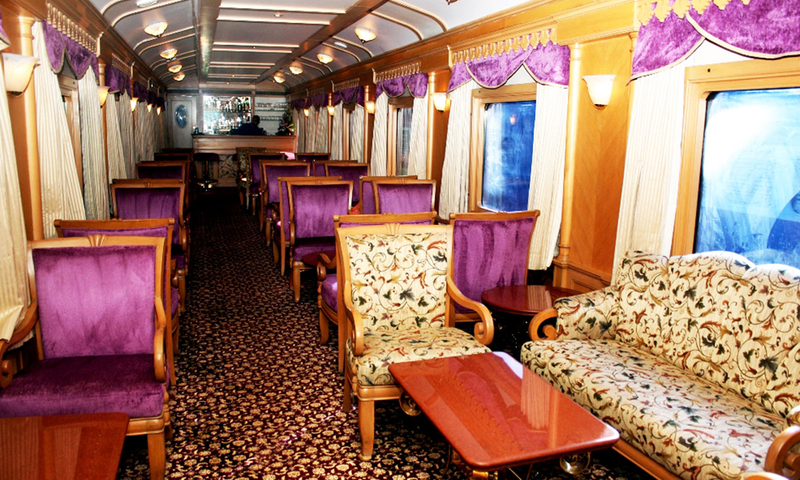 Please your eyes with the royal background of the coaches and make the most of the luxurious ride. 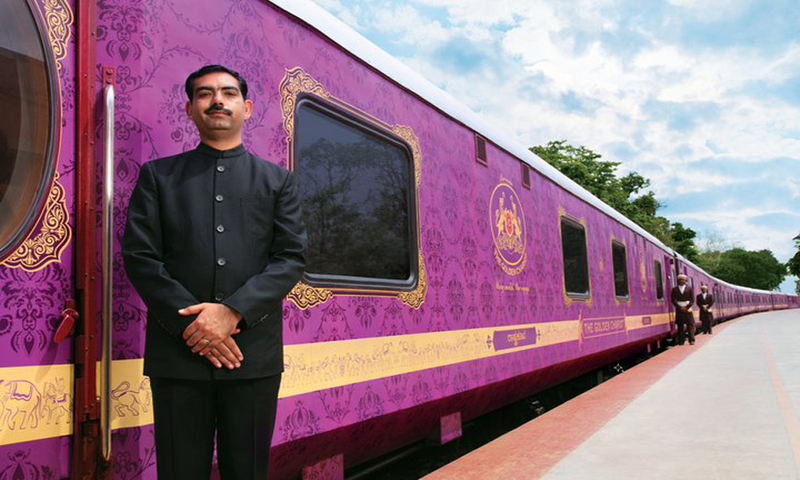 Launched by – Rajasthan Tourism Development Corporation; this train was bought into motion with the only purpose and that was to promote Tourism in the state of Rajasthan. 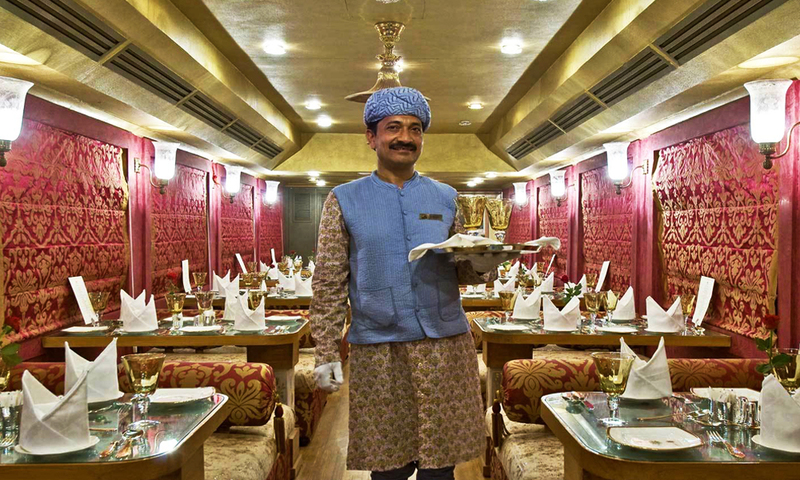 *Interesting fact – the coaches of this train is named after the former Rajput States like: Alwar, Bikaner, Bundi, Bharatpur, Dholpur, Jaisalmer, Jaipur, Dungargarh, Jhalawar, Kishangarh, Kota, Sirohi, Udaipur etc. Routing in brief [Destinations covered] – New Delhi> Jaipur> Sawai Madhopur> Chittorgarh> Udaipur> Jaisalmer> Jodhpur> Bharatpur> Agra> Delhi. 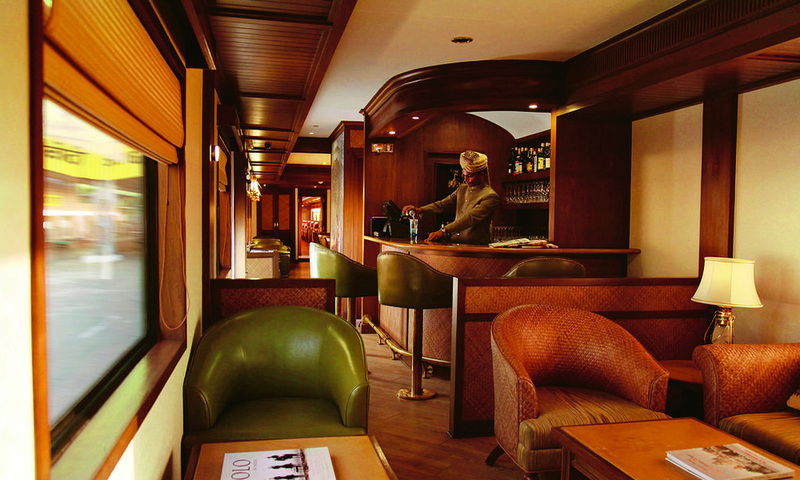 In 1987 this stunningly gorgeous train was rewarded by PATA Gold Award – just a few years of its inception. 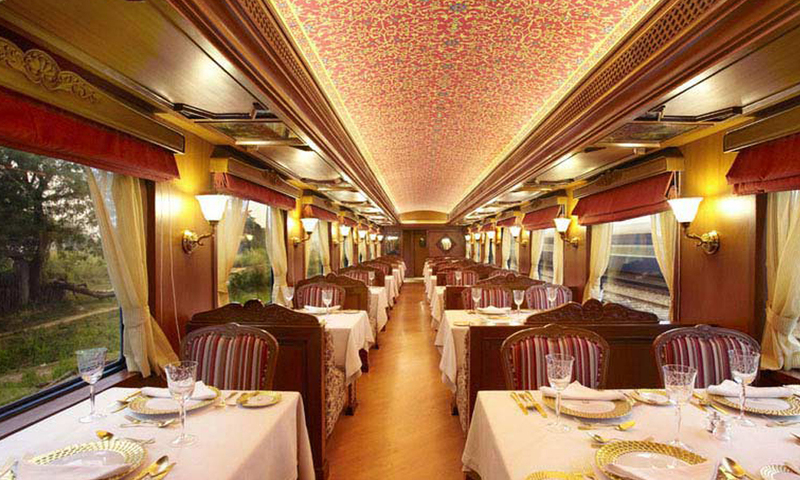 Well-famed TV channels like – MTV, ZEE TV, BBC National Geographic and Discovery channel has showcased this striking train in numerous shows. 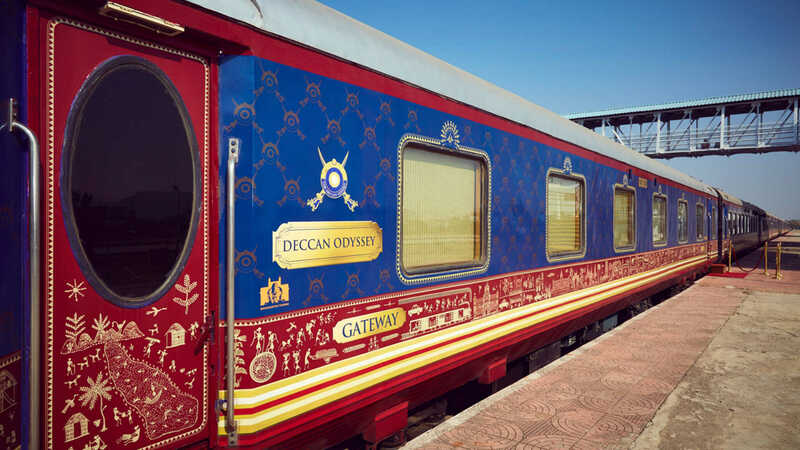 As per a survey, which was undertaken by Global Travel Magazine Conde Nast – this gorgeous train was voted as 4th best Luxurious in the World and YES also recognized as the best in Asia. Life is good when we are surrounded by the best of all – in a way it can be well expressed by quoting this – BE OVER THE MOON. Call the shots and get going – Stumble upon the finest of Heritage and Wildlife sites across the state of Royals – Rajasthan. Routing in brief [Destinations covered]: New Delhi> Jodhpur> Udaipur> Chittorgarh> Ranthambore National park> Jaipur> Khajuraho> Varanasi and Sarnath> Agra> New Delhi. The wheels, which surprises you with every turn it takes and every place it stops by – attractions like: Hawa Mahal, Sheesh Mahal, Ranthambore National Park, Chittorgarh Fort, Lake Palace, Keoladeo National Park, Agra Fort and Taj Mahal. One can also avail the best of Souvenir Coach – all set to rock your world. Run into this coach and gift yourself an amazing piece of Art [either a fine jewellery product – leather goods – Unique photo frames – beer mug or again there is an endless list of accessories. Rekindle and relight your body by availing the services of a Royal Spa. 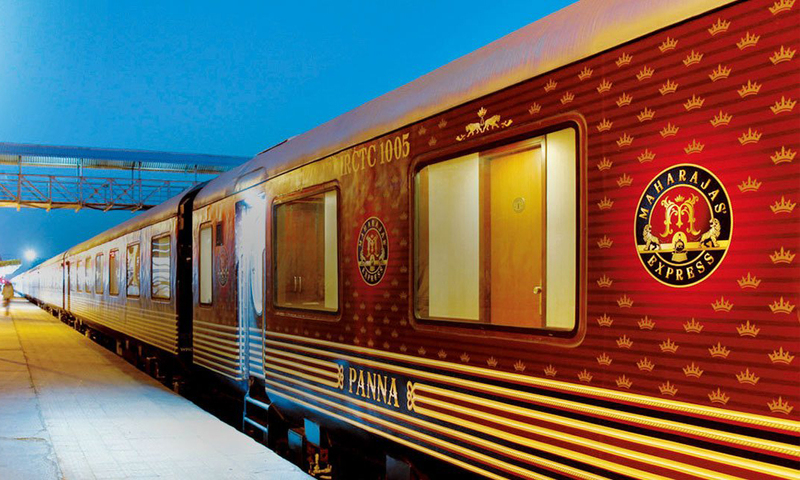 A train that brings you closer so as to give you an opportunity to explore the southern beauty of country India. Places like: Kerala, Karnataka, Goa, Pondicherry, Tamil Nadu etc. Interesting Fact: This train is named after the Stone Chariot adding significance in the Vitthala Temple at Hampi. Routing in brief [Destinations covered: Bangalore> Chennai> Pondicherry> Thanjavur> Madurai> Thiruvananthapuram> Alleppey> Kochi> Bangalore. These sets of wheels serve its travellers with the major attractions multiplying glory to the regions of South like: Bengaluru, Mysore, Nagarhole National Park, Hassan, Karnataka, Belur, Halebidu, Hospet/ Hampi, Aihole, Pattadakal, Badami, Goa. 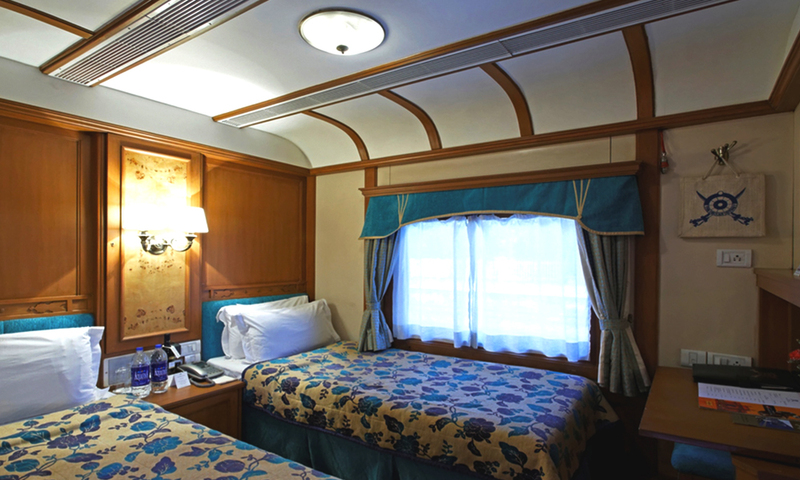 Recognized with a huge title – “Asia’s Leading Luxury Train” in the year 2013 at World Travel Awards. 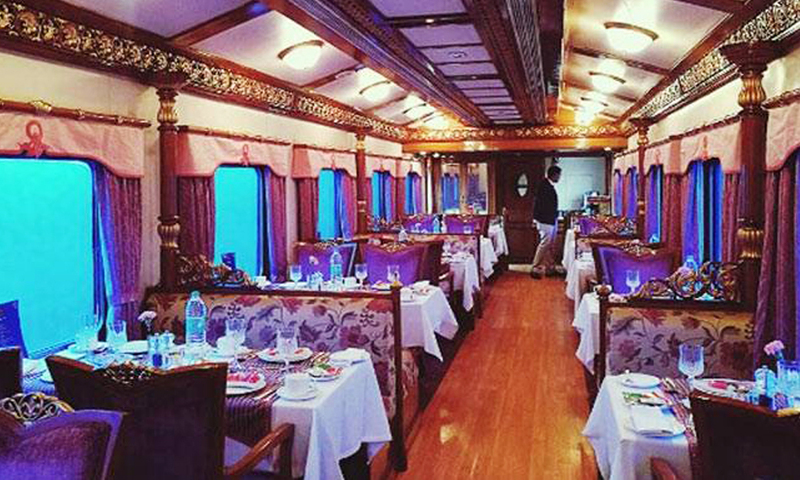 A special luxury train brought into existence with the intention of promote and boost tourism in Maharashtra. 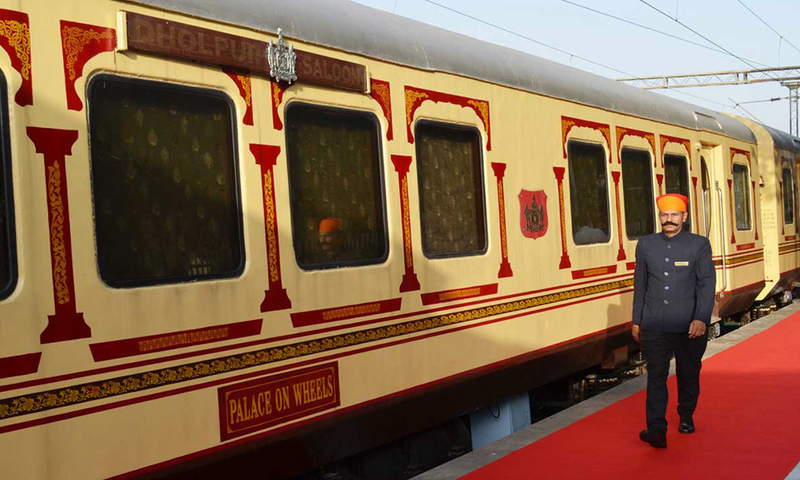 This train aims high – its goal is to serve the travellers with its best more of like a 5- star hotel on Wheels. 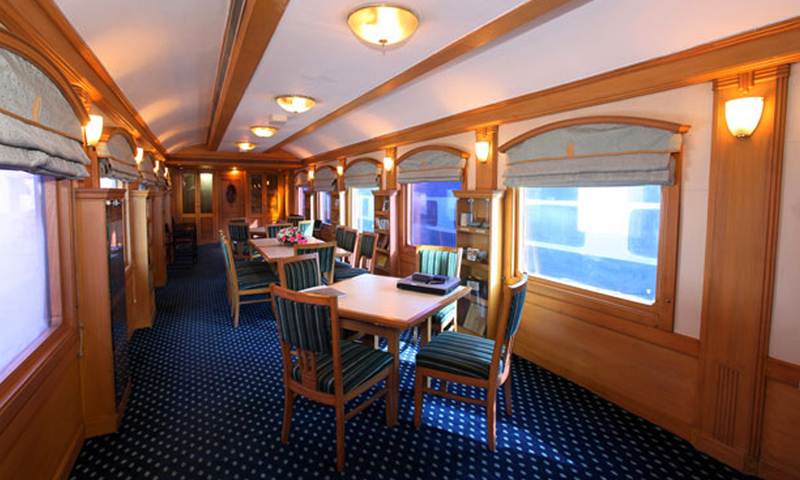 Fully equipped and loaded with unique amenities manufactured by Integral coach Factory based in Chennai. Routing in brief [Destinations covered: New Delhi> Sawai Madhopur> Ranthambore National Park> Agra> Jaipur> Udaipur> Vadodara> Aurangabad> Ellora Caves> Mumbai. 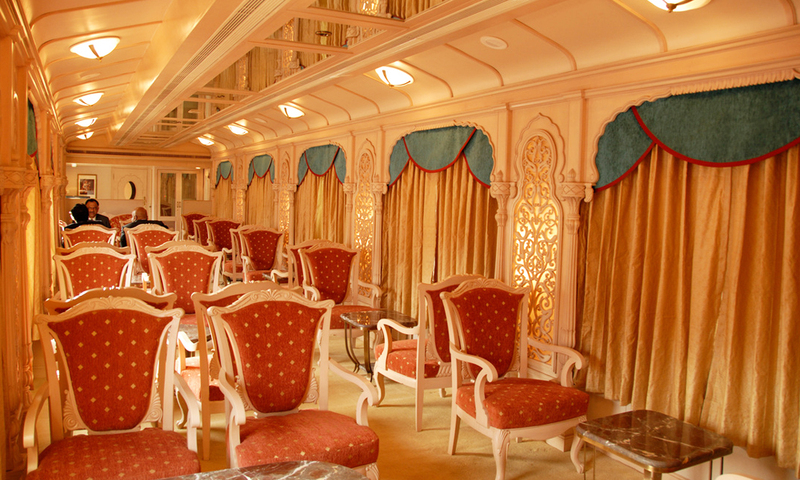 the enchanting rides of the luxury trains are eager to serve you with its finest. Now is a perfect time.